Marvell Storage Utility (MSU) Version 4.1.10.2043. 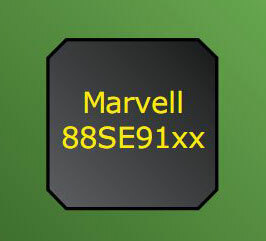 - The Marvell Storage Utility (MSU) is a browser-based management utility for Marvell 88SE91xx controllers. Using storage devices connected to the controller, it can create and manage RAID and HyperDuo virtual disks and arrays.